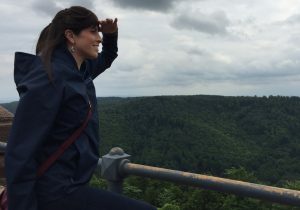 I consider myself a conservation scientist and institutional scholar who works at the interface of ecology, social science, resource management, and policy to solve real-world natural resource management problems. I have a broad, interdisciplinary background in marine ecology, conservation planning and institutional governance spanning the natural and social sciences. I am broadly driven by research questions at the forefront of the interaction between natural and human systems in the context of small-scale fisheries management. I am particularly interested in developing creative, pragmatic solutions that promote marine resource sustainability and increase the resiliency of coastal communities. At Duke, I am working on a Duke-FAO-Worldfish partnership to expand our knowledge on the contributions of small-scale fisheries to the achievement of the Sustainable Development Goals (SDGs). I graduated with a PhD in Environmental Life Sciences from Arizona State University in 2017. After that, I worked as Faculty Associate at Arizona State University teaching Quantitative Methods in Conservation and Ecology. 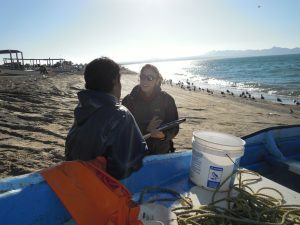 For my dissertation research, I used the Coupled Infrastructure Systems framework, following the tradition of Elinor Ostrom’s Institutional Analysis and Development framework, to better understand the interdependencies between social, economic, natural, and institutional processes affecting marine reserve implementation and performance efficacy in the Gulf of California (GOC), Mexico.